We haven't had time yet to extended congratulations to Nickelodeon and series creator Chris Savino on their original series The Loud House. 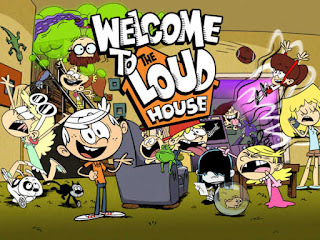 We are now, though, as The Loud House was just announced getting a 14-episode second season and came out as the Number 1 animated kids show in the ratings. It's not a terrible property owned by Dreamworks created to cash-in on their movies fame without any real content and not a reboot series. The Loud House is the story of Lincoln Loud and his ten sisters, all with L names. 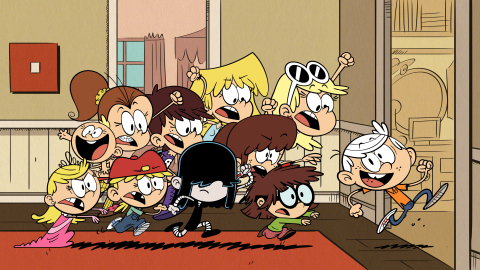 The Loud House has Lincoln just trying to survive, as the theme song happily tells us, in a house with ten very different sisters. Lincoln breaks the fourth wall to tell viewers his plans on tasks we may find simple like getting to school on time or getting to play a video game, all of which go awry thanks to having ten sisters of different tastes and ages. Family chaos makes great cartoons. The series not only has that classic Nick animation style of looking fun, but the writing draws you into the short 11-minutes trials of Lincoln. Many times they're the same moral of the story of relying or getting help from family. Those morals aren't learned until the end of an episode and before that it's a sisterly sea of chaos in the Loud House. Poopy diapers to pranks, soccer balls and angsty poetry with science experiments to go awry. Maybe the success of the show is because of the work of creator Chris Savino. A veteran of the industry who has worked on so many successful and beloved cartoons before this one including Rocko's Modern Life and Powerpuff Girls, to name a few. Whatever the reason for its success we suggest you get on board and start watching new episodes as they come out on Nick and Nick.com. New episodes will be coming out this June, while about 10-12 episodes, 22-minutes long are out now. 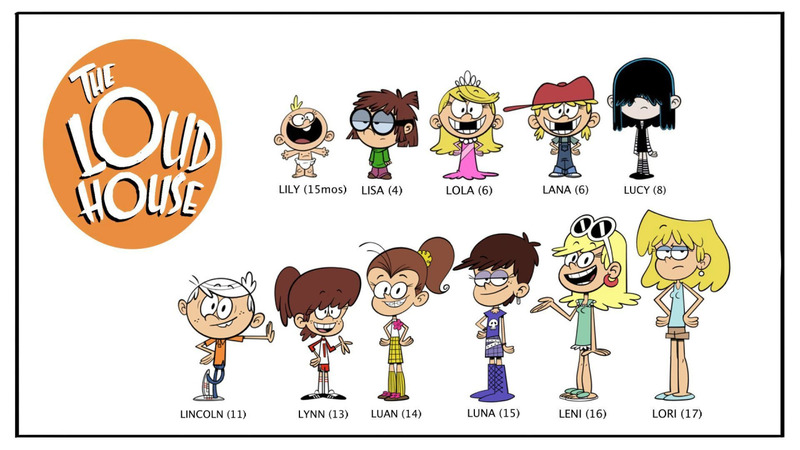 So watch Lincoln and his sisters, pick a favorite sister to get more screen time and try and memorize all their names. Helpful chart below. E3 LIVE @ L.A. LIVE! Hakata Ramen West L.A. 3rd Anniversary $3 SALE! Anime Expo's Youth Protection Program?